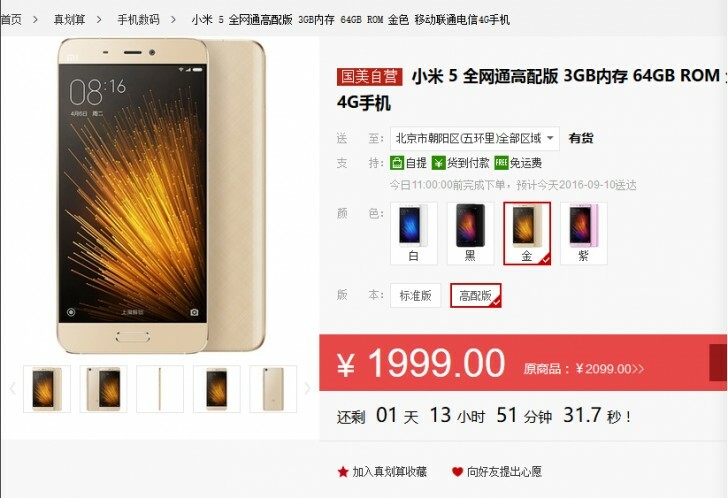 An online retailer in China is selling a modified version of the standard Xiaomi Mi 5 for 1999 Yuan (which comes out to about $300). They call this version of the phone “Extreme” and features and overclocked CPU, GPU, and RAM. Chinese retailer GOME is selling this ‘edition’ of the current Xiaomi flagship device. The Mi 5 has a Snapdragon 820, 3GB of RAM, and an Adreno 530 GPU. The phone comes in white, black, gold, and light purple and should feel at least noticeably snapper (and warmer). Keep in mind that the battery size is the same 3,000mAh battery, so endurance will surely take a hit.